An absolutely beautiful album, the most pleasantly surprising new release we've had in this year - a must for all lovers of evolved, inspired home listening music. 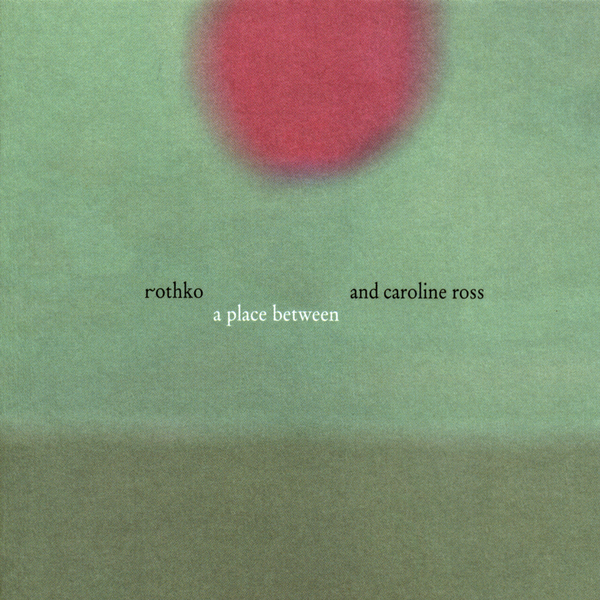 With only Mark Beazley left from the original 3 bass line-up, Rothko has teamed up with Aberdeenshire's Caroline Ross for 'A Place Between'; a candidly intimate record structured around Beazley's bass and Ross' vocal and flute mastery. Opening with the thick and swampy bass of 'Traces of Elements', what at first seems head crushingly claustrophobic is soon revealed to be expansive and welcoming as Ross' supine vocals puncture the skin. As the song develops, Beazley's time spent collaborating with Japan's ambient maestro Susumu Yokota becomes clear to see with the closing minutes of 'Traces of Elements' indispensable to those who soaked up 2001's 'Grinning Cat'. 'Divided Lines' follows on with a darkly optimistic pairing of bellicose piano and leaden vocals, whilst 'An Open Breath' soars into a breathless lucidity. Although it would be easy to classify 'A Place Between' as dark hearted fragile folk akin to Bert Jansch, its many textures defy pigeonholing with 'The Only Way Out is Through' existing somewhere between several genres - this is intangibly delightful that's as moving as it gets. Wonderful.